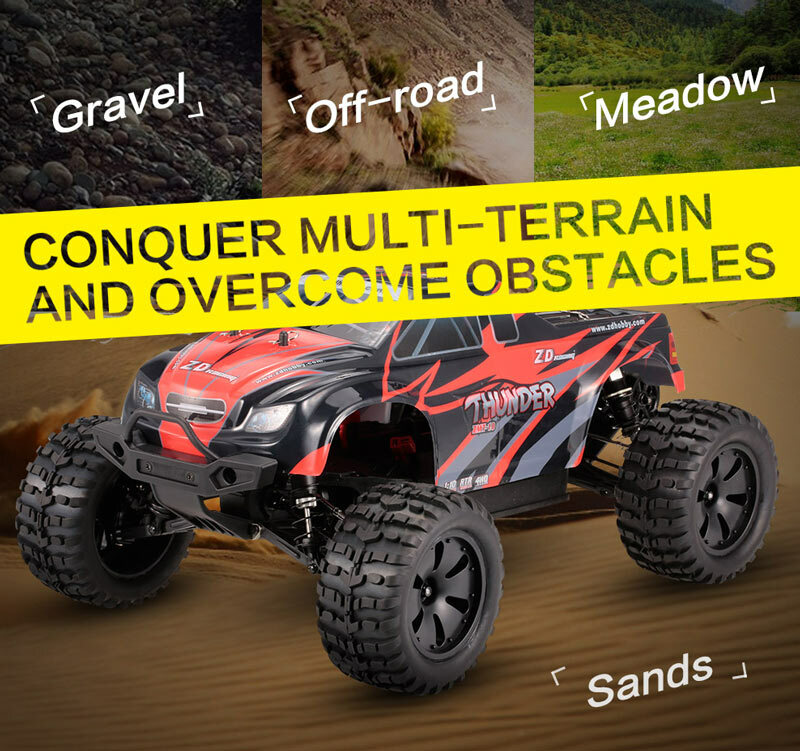 This 9106S thunder ZMT-10 is strong in running on any rough off road surface. 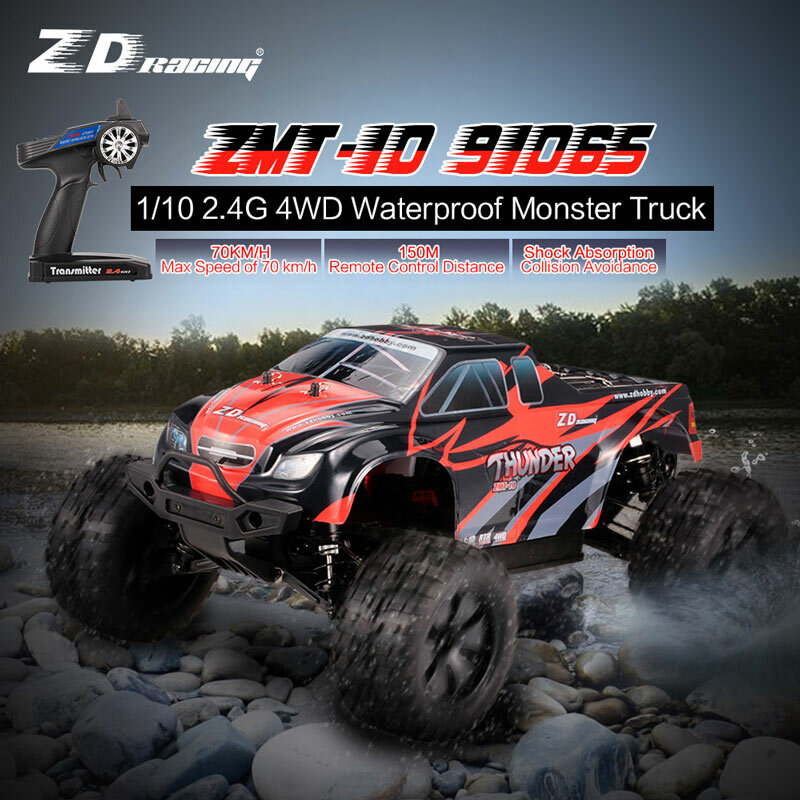 The waterproof car has all the features you are looking for, such as enhanced suspension arm system, 4 wheel drive, high quality shock absorber, etc. 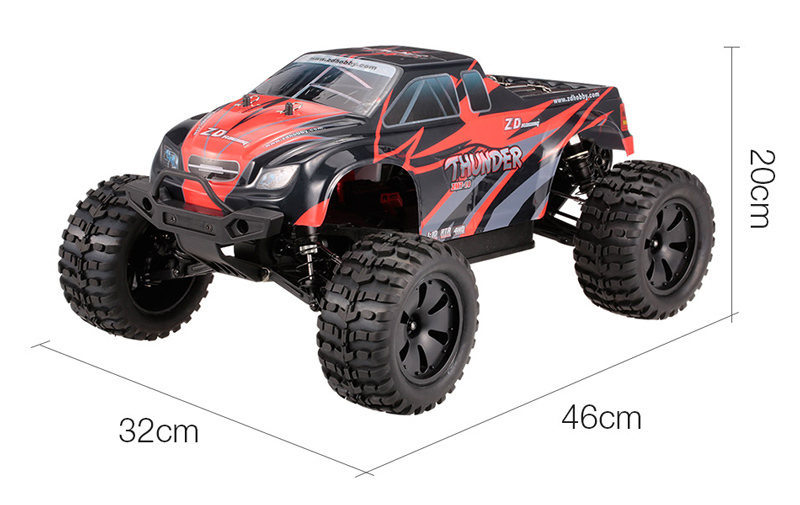 The extra large car will bring you more excitement and challenge. 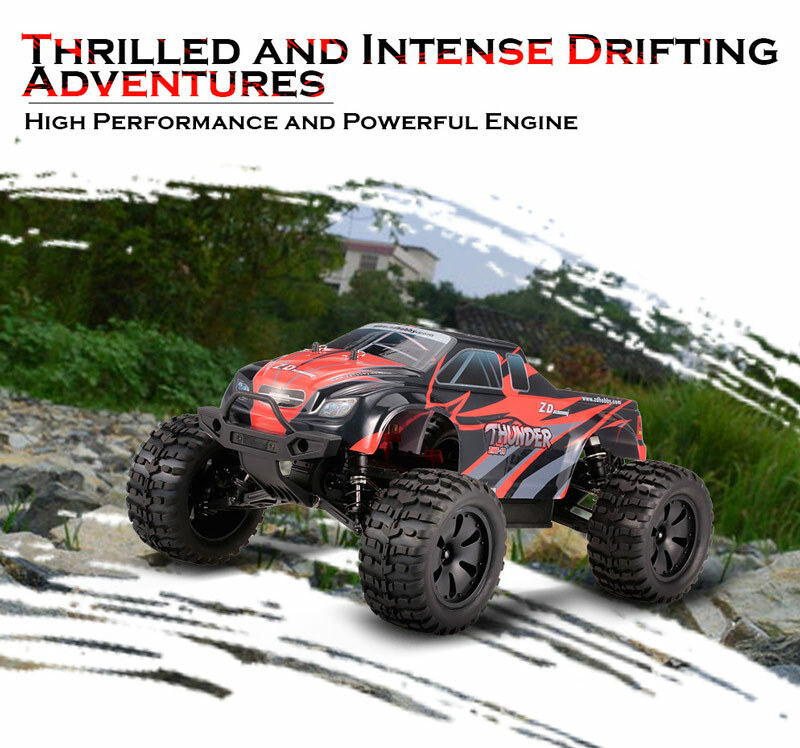 Running at full speed, let the car delight your weekends with endless excitement and fun. 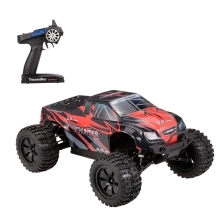 Newest 1/10 full-scale waterproof RC high speed brushless electric monster truck. Ready to run and no assembly needed. Best choice for adult-kids toys. 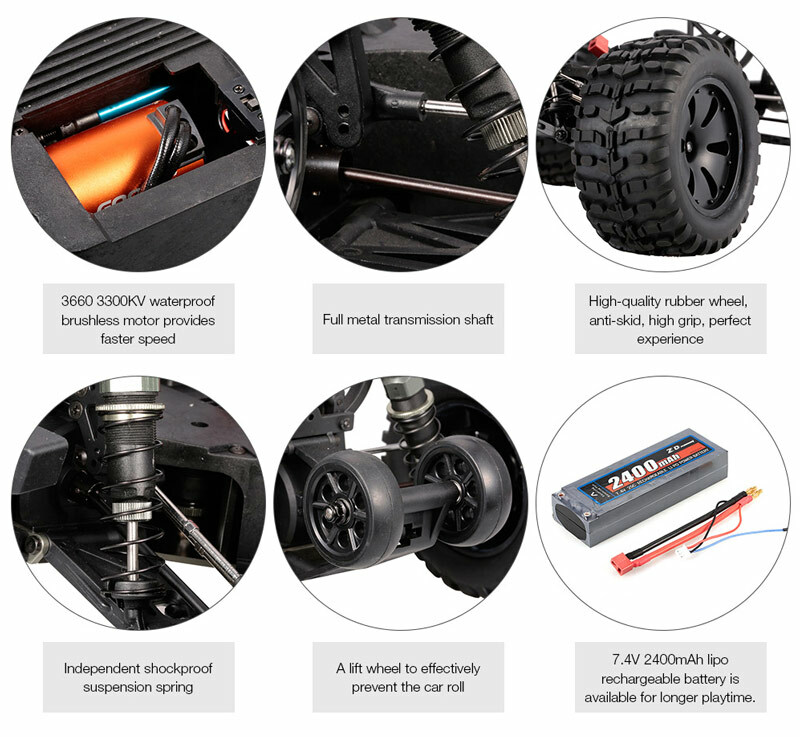 Adopt waterproof brushless 60A ESC and 3660 3300KV motor, providing high power and speed up to 70km/h. 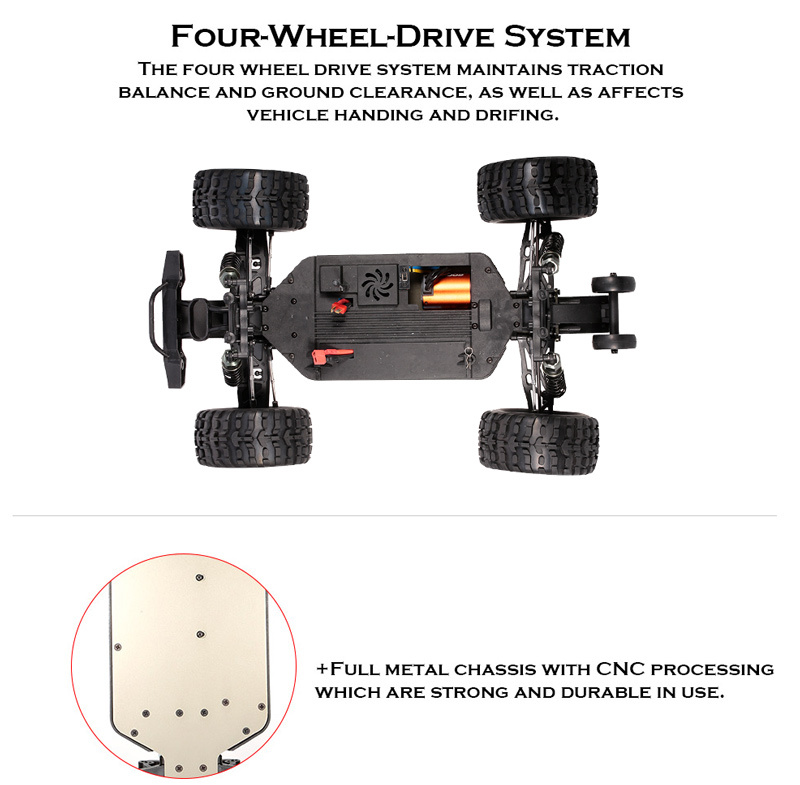 Full metal transmission shaft and chassis with CNC processing which are strong and durable in use. 7.4V 2400mAh lipo rechargeable battery is available for longer playtime. The front bumper board is reserved the LED lamp hole for the DIY enthusiast. The rear of the car is equipped with a lift wheel to effectively prevent the car roll. With high-quality rubber wheel, anti-skid, perfect experience. Notice: This toy is not suitable for children under 8 years old, keep it away from children.